Deductive problem solving was previously thought to be beyond the reach of babies, says Emory psychologist Stella Lourenco. Human infants are capable of deductive problem solving as early as 10 months of age, a new study finds. The journal Developmental Science is publishing the research, showing that babies can make transitive inferences about a social hierarchy of dominance. “We found that within the first year of life, children can engage in this type of logical reasoning, which was previously thought to be beyond their reach until the age of about four or five years,” says Stella Lourenco, the Emory University psychologist who led the study. The researchers designed a non-verbal experiment using puppet characters. The experiment created scenarios among the puppets to test transitive inference, or the ability to deduce which character should dominate another character, even when the babies had not seen the two characters directly interact with one another. A majority of the babies in the experiment, who were ages 10 to 13 months, showed a pattern consistent with transitive inference. During the 1960s, developmental psychologist Jean Piaget showed that children could solve transitive inference problems around the age of seven or eight. For example, if you know that Paul is taller than Mary, and that Mary is taller than Jack, then you can infer indirectly that Paul must be taller than Jack. You don’t need to see Paul and Jack standing side-by-side to draw this conclusion. For years, the prevailing philosophy in cognitive psychology was that children younger than seven were mostly illogical and incapable of transitive inference. Then, during the late 1970s, researchers found that by reducing the complexity of transitive inference problems, children as young as four could solve them. 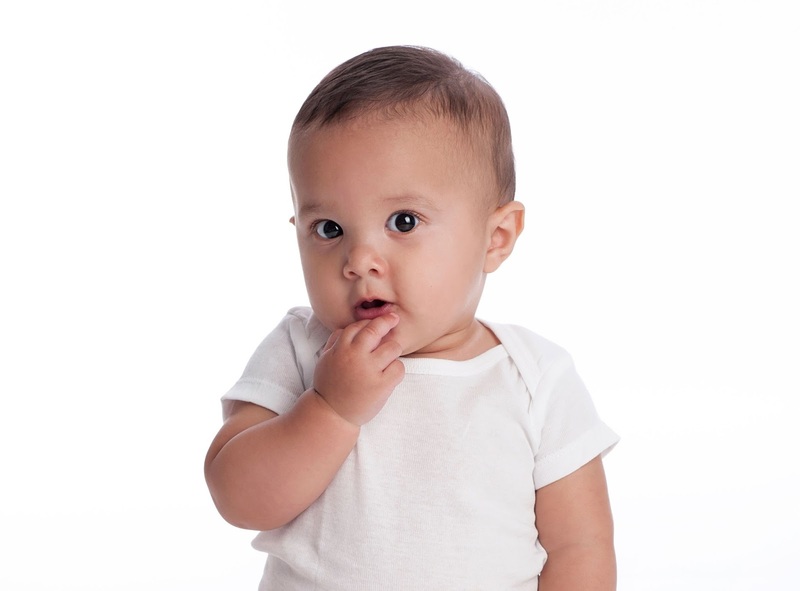 Lourenco, whose research has shown that babies have numerical reasoning and can understand relationships of magnitude, suspected that infants were also capable of transitive inference. A screen shot of a video from one of the experiments shows a subject watching the puppets interact. For the current study, Lourenco teamed up with co-authors Robert Hampton, an Emory psychologist whose lab at Yerkes National Primate Research Center has demonstrated that monkeys can engage in transitive inference, and Regina Paxton Gazes, a former graduate student in the Hampton lab and post-doctoral fellow at Zoo Atlanta. Gazes, who is now on the psychology faculty at Bucknell University, designed the non-verbal experiments for the human infants. 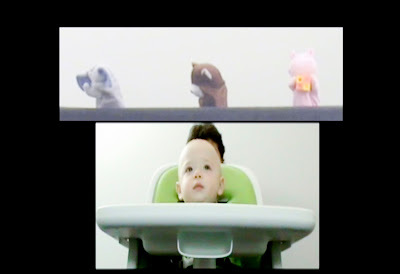 In the first experiment, the babies were shown a video of three puppets arranged in a row. The puppets – an elephant, a bear and a hippopotamus, were similar in size but arranged in a left to right social hierarchy. The elephant is holding a toy, but the bear reaches over and forcibly takes the toy from the elephant. Next, the hippopotamus takes the toy from the bear. These scenarios suggested that the bear is more dominant than the elephant, and the hippo is more dominant than the bear. Finally, the babies were shown a scenario where the elephant takes the toy from the hippo. This scenario held the gaze of most the babies in the experiment for longer than the other scenarios. In a second experiment, the researchers introduced a fourth character, a giraffe, that had not yet interacted with the others in the familiarization phase. The giraffe was novel and had not previously displayed dominance behavior. The infants did not pay more attention to scenarios involving the giraffe, whether or not it displayed dominance. The researchers also conducted control experiments with infants. For the controls, the hippo always displayed dominant behavior and the elephant always displayed subordinate behavior. The data supported that the majority of the infants who were shown unexpected dominance behaviors, or 23 out of 32, were engaging in transitive inference when they gazed at scenarios of unexpected behavior by the puppets, compared to other scenarios. The researchers hypothesize that transitive inference for social dominance is evolutionarily important, so the mechanisms to support this type of logical reasoning are in place early. In addition to exploring important science questions about how the mind develops, the findings could aid in determining whether infants are on track in the learning process. “Since a majority of babies show the ability to engage in this kind of logical problem solving, our paradigm could certainly become an important tool for assessing normative cognitive development,” Lourenco says.